Jackie Sherbow is the senior assistant editor for EQMM and AHMM. This post will also appear at Something Is Going To Happen. 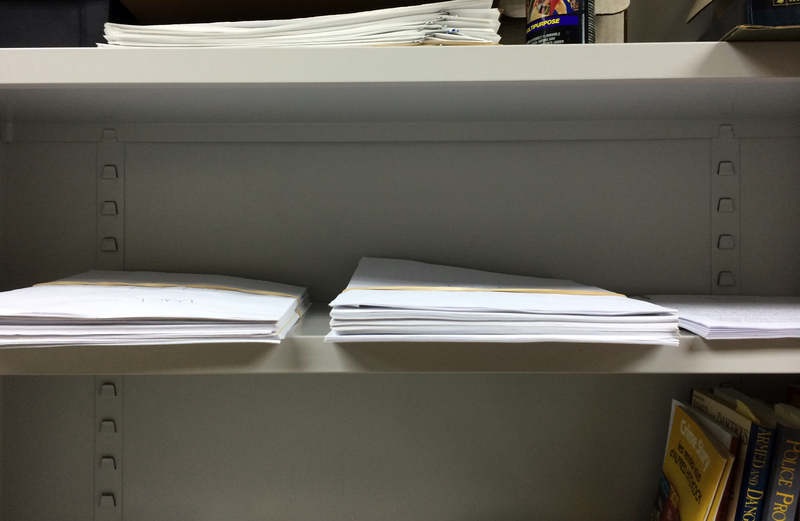 My recent contribution to SleuthSayers, an inside look at the submissions process, had me wondering if people wouldn’t be interested in a literal inside view of our offices. So, come on in! 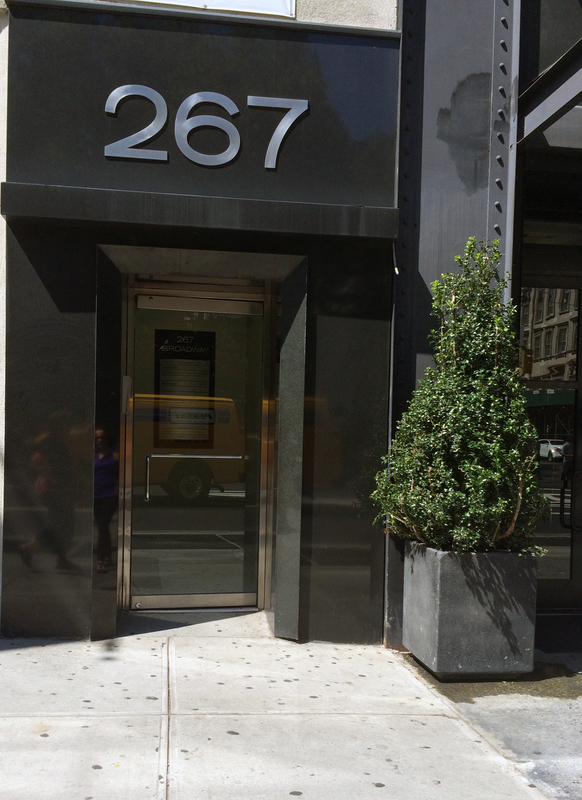 267 Broadway has been the NYC home of Dell Magazines since 2009. Its residents include the editorial staff for AHMM, EQMM, Asimov’s Science Fiction Magazine, Analog Science Fiction and Fact, Dell Horoscope, and a variety of Dell’s puzzle titles. 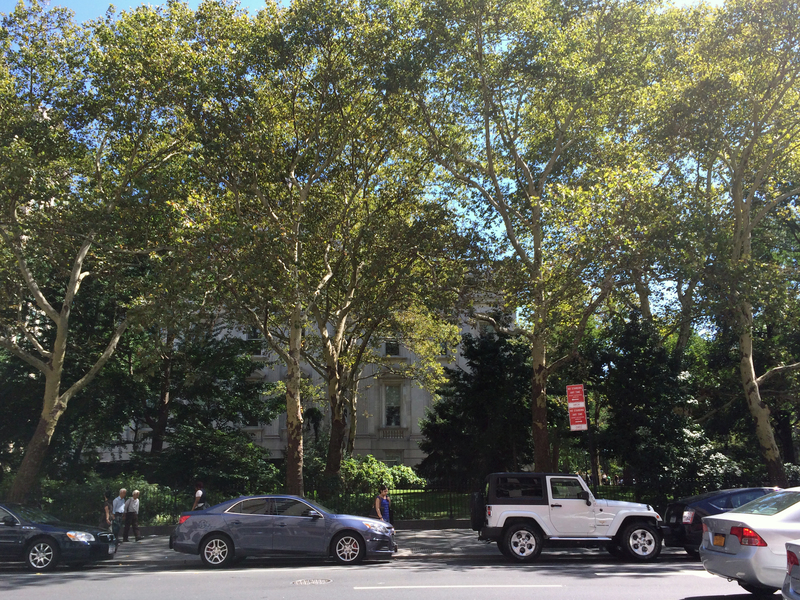 We work closely with our two other outposts, both in southern Connecticut (Milford and Norwalk). 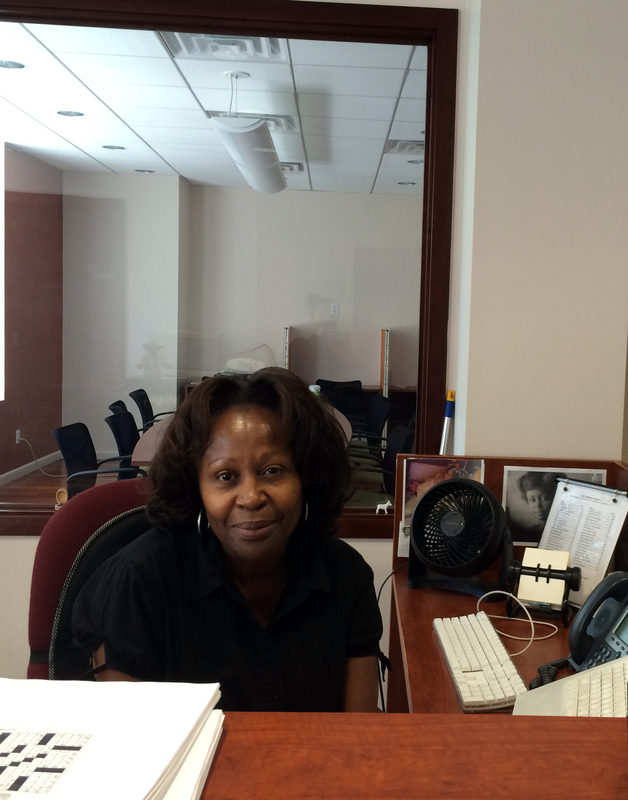 When you arrive at Dell, you’re greeted by Mary Grant, our office manager, editorial assistant, and receptionist. She runs day-to-day operations here as well as provides administrative and editorial support to each department, and has been making lives easier for Dell employees for thirteen years. 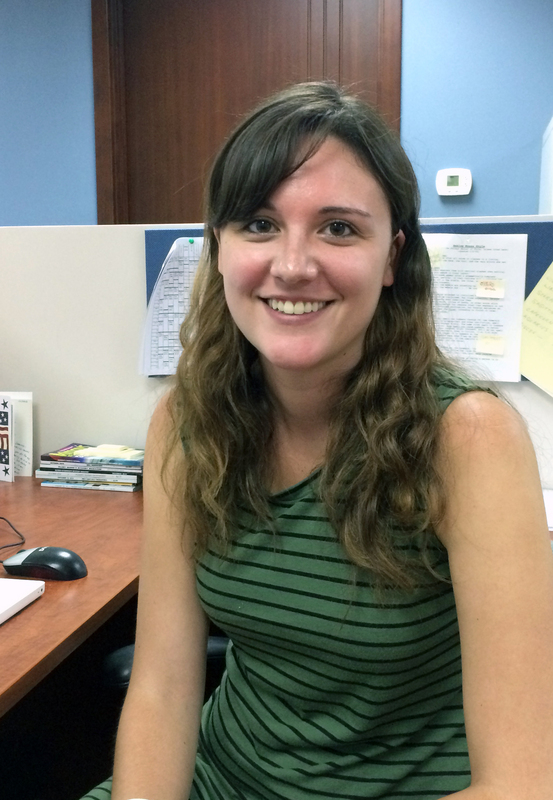 The mystery team includes—along with myself and the editors—Deanna McLafferty, our Editorial Administrative Assistant. Along with working for all the other departments (yes, all of them), Deanna takes care of many day-to-day tasks for EQ and AH—anything you can think of on the administrative to editorial spectrum, Deanna has probably helped with it. You might recognize her as the kind soul who poured you a drink at the EQ/AH pre-Edgars Cocktail Party for the past couple of years. 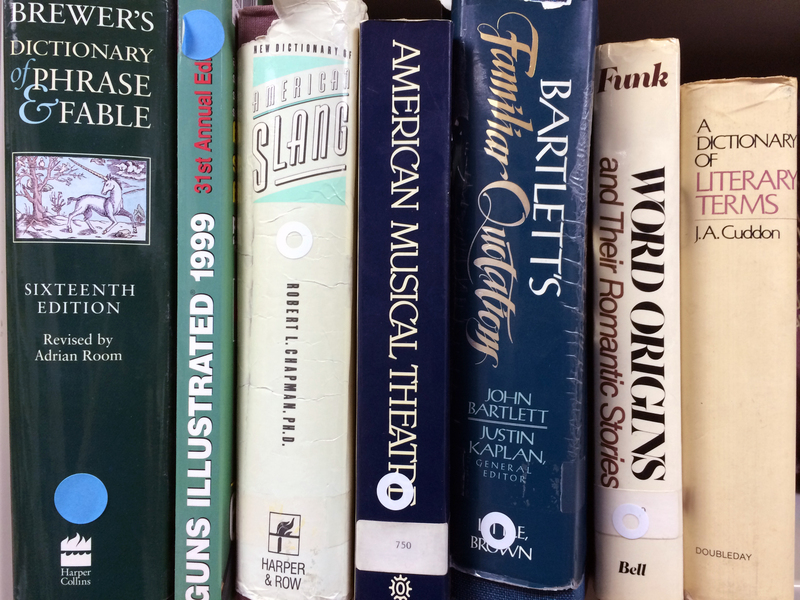 To me, the reference room is the richest part of our floor, and a spot where you can easily lose a chunk of time exploring the multitudes of specialized dictionaries, encyclopedias, and other literary goodies. This shelf is a strange one now for us, as it features the dwindling slush pile of AHMM after its switch to electronic submissions (which I also talk about in the SleuthSayers post). As a comparison, I’ll include a photo of older stacks, from Linda’s home office. 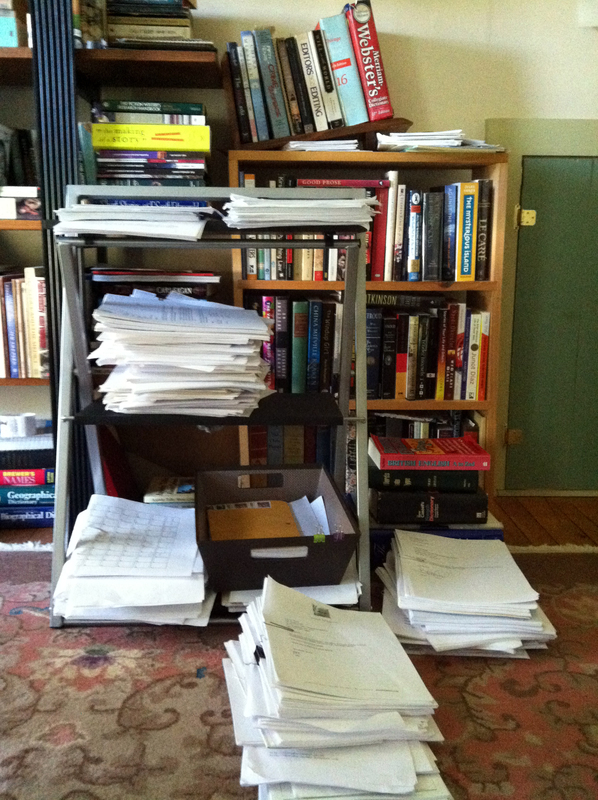 AHMM’s dwindling hard-copy slush pile. Paper manuscripts in Linda’s home office. 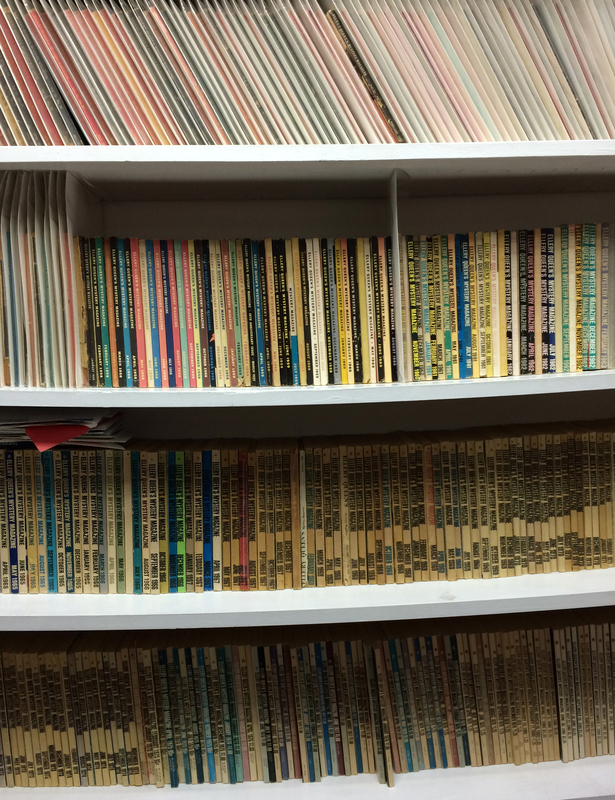 Here are the card catalogs, which list all the authors and stories printed in the magazines. 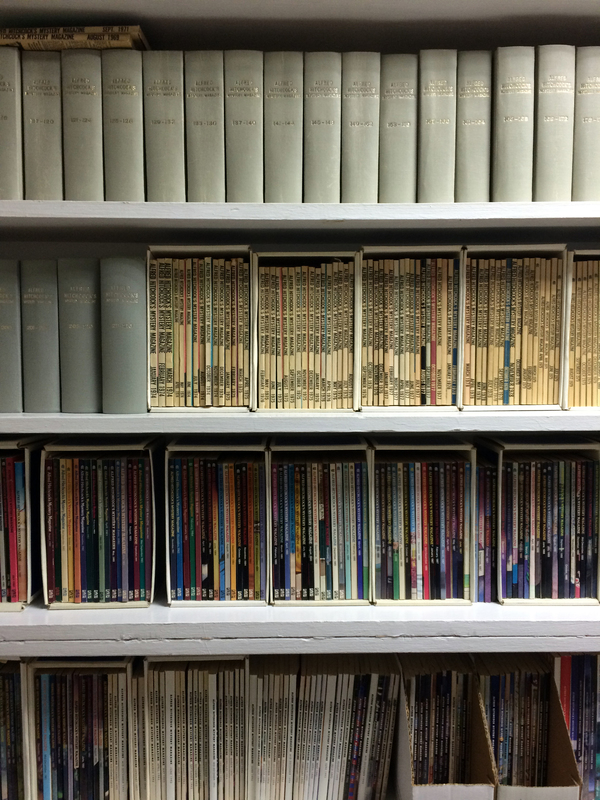 And here are our back-issue archives, stored on shelves built specifically to fit our volumes. And there you have it! Perhaps not as mysterious as you’d have thought, but chock-full of mysteries all the same. Loved the photo of Linda’s slush pile. I’m glad to see someone else files on the floor. Me too! Thanks for reading, Susan. Ooh! 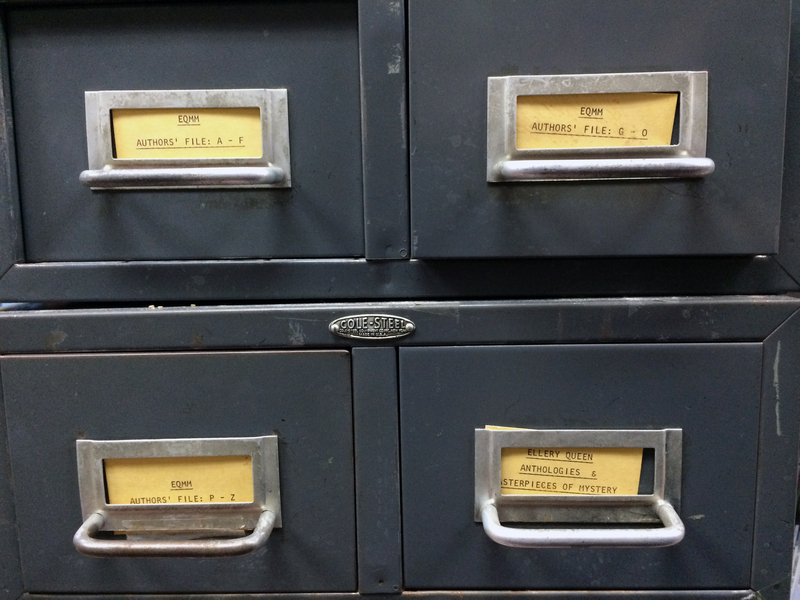 A card catalog! I haven’t seen one of those in use for a decade (and I’m a librarian). And best of all, my name is in it! Thanks, Jackie. Administrative time travel! 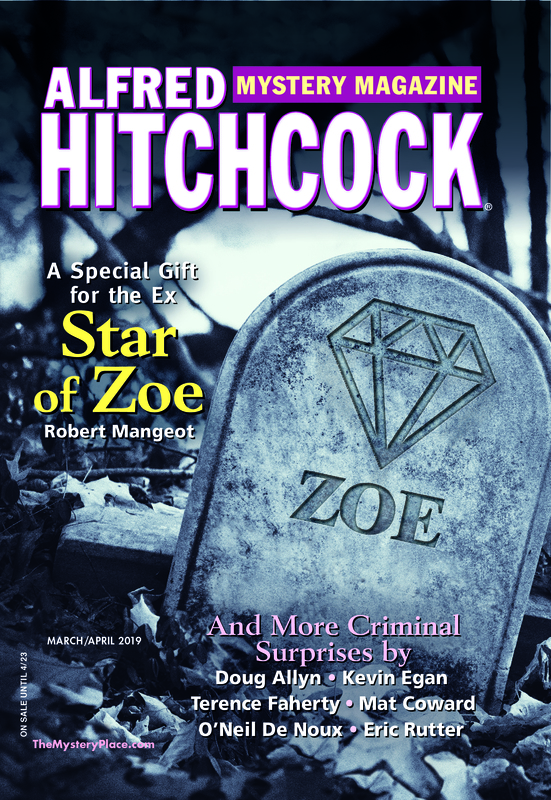 Thanks again, Rob, for being a part of my moonlighting moment over at SleuthSayers. What? No photos of the staff jacuzzi, the games room with the bouncy castle, or the cocktail lounge? We have to keep some things a mystery!